Two female teachers have been arrested by the police after they fought each other inside the classroom over a man. 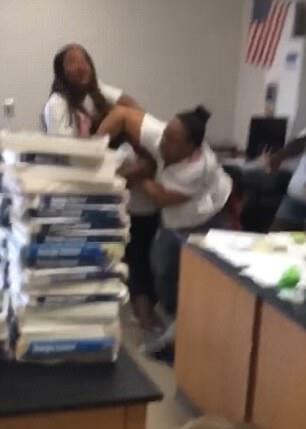 A teacher and a classroom aide duking it out in front of students at a Georgia middle school last week was caught on video. The women are seen throwing punches and pulling hair in the video shot May 19 by a student at Stone Mountain Middle School in downtown Atlanta, according to local media. 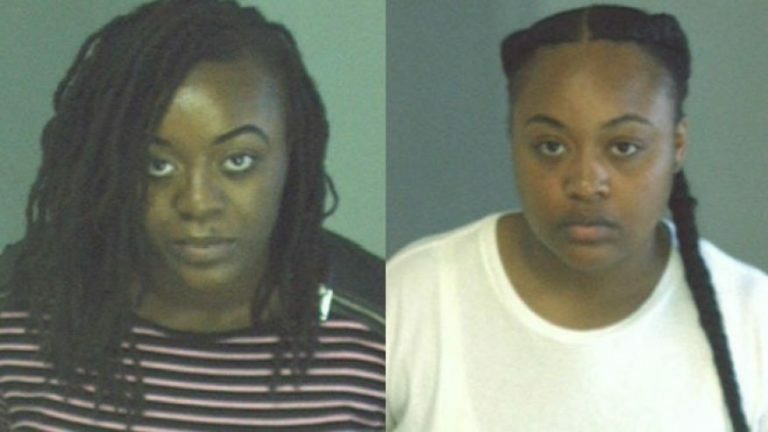 DeKalb Police charged Brittany Randolph-Johnson and Milan Ethridge with disrupting operations of a public school and disrupting the peace, Fox 5 Atlanta reported. The police report says Randolph-Johnson and Ethridge “engaged in a verbal and physical altercation in the presence of minor children” at the school while school was in session, the station reports. WGCL-TV quoted a student as saying that Randolph-Johnson and Ethridge were arguing about a male teacher. The teacher and the aide were fired, WSB-TV reported. Students say school officials examined cellphones and made students delete video of the fight, according to the station. The DeKalb County School District said it was not aware of staff looking through student phones.